On the heels of rumors in April that Zawya was preparing for a multimillion dollar acquisition, today it appears that Thompson Reuters has emerged as the frontrunner. Previously, three other companies- intelligence service Mergermarket (part of FT Group), media company Emap (partly owned by The Guardian), and Indian credit-ratings agency Crisil, were in the running. Today, sources suggest that Thompson Reuters will acquire Zawya in a deal rumored to approach $40 million, Arabian Business reports. This number has been circulating but is not confirmed. Saffar Holdings, which acquired a 60% stake in Zawya in 2001, hinted late last year that the deal would close soon, with Saffar CEO Mishaal Al-Usaimi saying, "We expect to make a decision during the first quarter of 2012 as to whether we are willing to entertain an offer for our investment in Zawya or, given Zawya's strong growth under its new management team, to retain our stake." Sources say that Saffar may receive between US $5 and $6 per share for their stake of Zawya's 7 million shares, for a total value of $21 and $25 million. The company has appointed U.K.-based corporate finance advisory company Arma Partners to advise on the sale. Yet the rumored valuation of $40 million may be low; in 2008, the site was almost sold for close to $12 a share, at a valuation of $80 million. 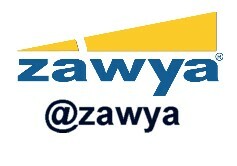 Zawya, a leading portal for business news and analysis in the Middle East, was founded in Dubai in 2000 by Ihsan Jawad, Zaid Jawad, and Husain Makiya, who left to start venture capital firm HBT Ventures (Honeybee Tech Ventures) in late 2010. In April, the National reported that Zawya now has 5,000 paying subscribers and around 750,000 monthly unique visitors, and employs 200 staff in the UAE and Lebanon. Current CEO Gunnar Skoog pledged that the site will have "double-digit growth" this year, and also revealed that the site would have a new CEO within 6 weeks. That change has not yet been announced. For Thompson Reuters, which is expanding in the Middle East and North Africa, the acquisition may offer a chance to incorporate a wealth of business news and analysis under a well-known brand, that, at $6,000 for a full yearly membership, costs less per year than either Reuters or Bloomberg, Arabian Business reveals. Thomspon Reuters did not deny the acquisition, telling Arabian Business in a statement, "As a matter of policy, Thomson Reuters does not comment on rumours or speculation about acquisitions." Arma Partners and Saffar Capital did not comment.